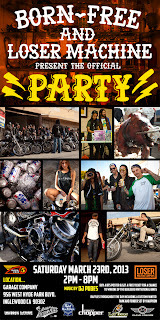 The party is set for March 23 2013 at The Garage Company in Inglewood CA. 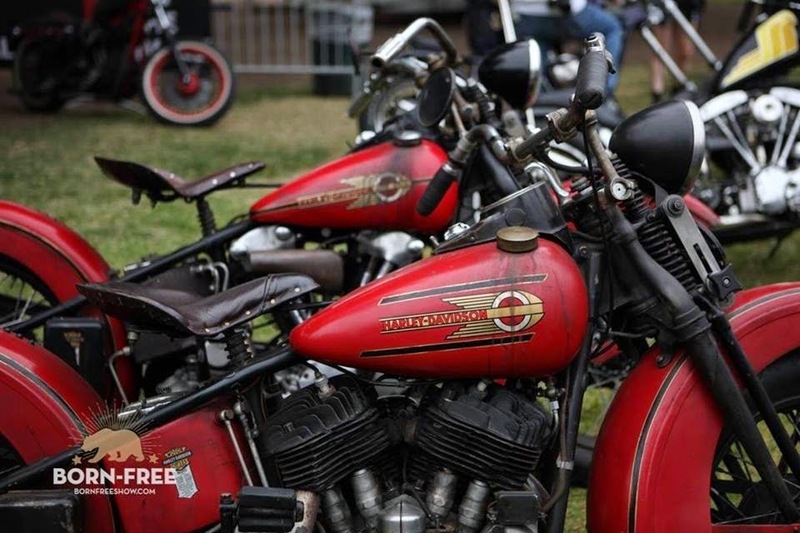 Lot's of old bikes,food & fun.This a free party like everything we do.Loser Machine is organising the event and has gathered some other great sponsors in get involved and help out. We will have hourly giveaways and the top prize is a custom painted tank and fender..painted by The Harpoon. Lowbrow Customs supplied the tank and fender. Thank you guys for always wanting to help out. Here's what you need to know about the painted Tank and Fender promo. You need to buy (2) Born-Free 5 posters w/ 2 FREE tickets and that will enter you in the contest. If you have already bought (2) posters at the same time in person or same transaction online from Lowbrow you are automatically entered to win. You do not need to be present to win this tank and fender. We will ship it to you!! 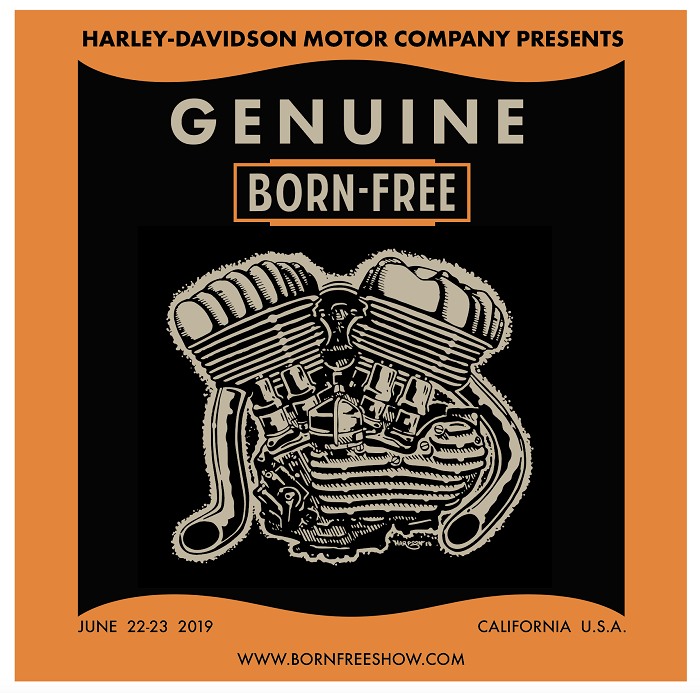 You also stay entered in the Bike Giveaway at Born-Free 5! !You could actually win both!! 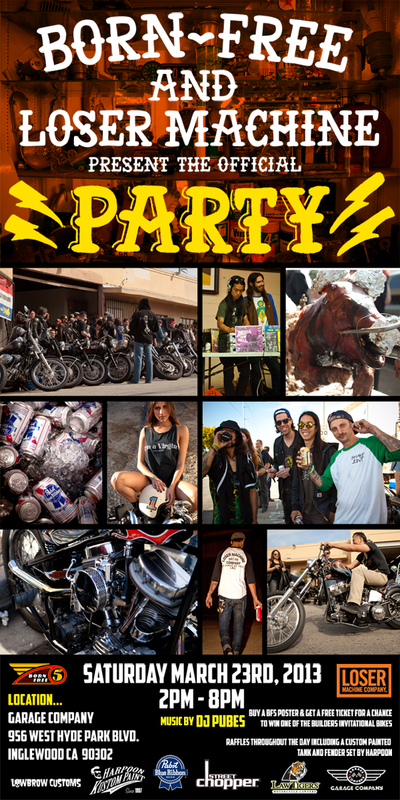 The time of the gas tank/fender promo will be approx 6pm at the party.This is a great prize to win and we do these promo's to help us promote the show and help pay for it.These events are a lot of work to put on and we really appreciate all the help we get from our sponsors and friends. We need your support too..so please come out and enjoy yourself! 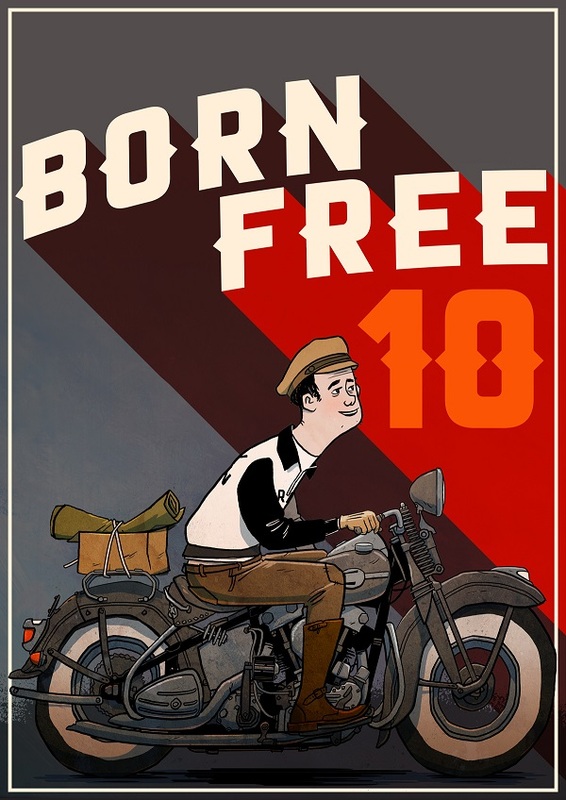 Get your chance online through Lowbrow http://www.lowbrowcustoms.com/p2800/buy/misc/born-free-5/born-free-show-born-free-5-poster-amp-ticket-with-limited-edition-of-500-screenprinted-poster/ or you can get at selected shops TriCo,Classic Cycles and The Cycle Lodge.